Former Energy Minister Charles Hendry has been appointed as independent Chair of a new user group for SP Energy Networks. The Transmission User Group was set up by the distribution network operator – part of ScottishPower – as a requirement by regulator Ofgem to scrutinise future electricity transmission plans. Mr Hendry, who served as Energy Minister between 2010 and 2012, will provide an independent challenge to the company’s business plan. He is also the Chair of the Smart Power Industries Alliance, which was established last year. He said: “The changes in our electricity system over the next few years will be the biggest changes any of us have ever seen. 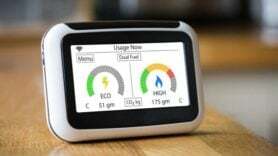 It will see a transformation of how and where power is generated and of the relationship between companies across the energy sector and their consumers.